The basis for the major motion picture of the same name. An entrancing memoir of how one woman's journey of self-discovery gave her the courage to persevere in re-creating her life. Life is a work in progress, as ever-changing as a sandy shoreline along the beach. During the years Joan Anderson was a loving wife and supportive mother, she had slowly and unconsciously replaced her own dreams with the needs of her family. With her sons grown, however, she realized that the family no longer centered on the home she provided, and her relationship with her husband had become stagnant. Like many women in her situation, Joan realized that she had neglected to nurture herself and, worse, to envision fulfilling goals for her future. As her husband received a wonderful job opportunity out-of-state, it seemed that the best part of her own life was finished. Shocking both of them, she refused to follow him to his new job and decided to retreat to a family cottage on Cape Cod. At first casting about for direction, Joan soon began to take pleasure in her surroundings and call on resources she didn't realize she had. Over the course of a year, she gradually discovered that her life as an "unfinished woman" was full of possibilities. Out of that magical, difficult, transformative year came A Year by the Sea, a record of her experiences and a treasury of wisdom for readers. 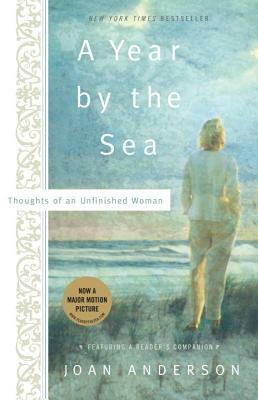 JOAN ANDERSON is the author of the bestselling A Year by the Sea, An Unfinished Marriage, and A Walk on the Beach. She has also written numerous children’s novels, including 1787, The First Thanksgiving Feast, and The American Family Farm, as well as a critically acclaimed adult nonfiction book Breaking the TV Habit (Scribner). A graduate of Yale University School of Drama, Anderson lives with her husband on Cape Cod.